Surprisingly, there are many lakes throughout the world with the title “Emerald Lake.” There’s an Emerald Lake in Alaska, British Columbia, Poland, Greece, and India, to name a few. Despite the popularity of the name, each Emerald Lake is unique in its own way. CAN YOU CAMP AT EMERALD LAKE? WHAT ARE THE FEATURES OF EMERALD LAKE? WHAT ARE THE BENEFITS OF EMERALD LAKE? WHAT ARE THE DRAWBACKS OF EMERALD LAKE? What Are Some Tips for Visiting Emerald Lake? The Emerald Lake located in Rocky Mountain National Park, for example, is an alpine lake located at about 10,000 feet above sea level. In this article, we discuss whether you can camp at Emerald Lake as well as some other popular trail questions associated with visiting the area. Within each section, we pose a new question and offer an in-depth answer. Towards the end of the article, we offer our final thoughts on Emerald Lake. First things first, there are no campsites available at Emerald Lake. However, there are many campsites in the area that visitors can use. Most of these fill up very quickly during the peak summer season, so reservations are recommended well in advance. Anyone looking for more information about nearby camping sites can use this webpage as a starting point. One of the most popular local campsites is Glacier Basin Campground. This campsite is located several miles from the Emerald Lake Trail head. Public shuttles are also offered between the campsite and the trailhead. Emerald Lake is a gorgeous lake that is located about 1.8 miles from the Emerald Lake Trail trailhead, which is about 9 miles from the turn-off at Highway 36. The main feature of the lake is a 12,700-foot peak called Hallet Peak. This peak overlooks the lake and is situated right in front of visitors when they arrive. It can also be seen as visitors hike the Emerald Lake Trail. It is a towering presence throughout the entire experience. There is also Flattop Mountain to the right of the lake as well as a waterfall across the lake that is fed by meltwater from Tyndall Glacier. 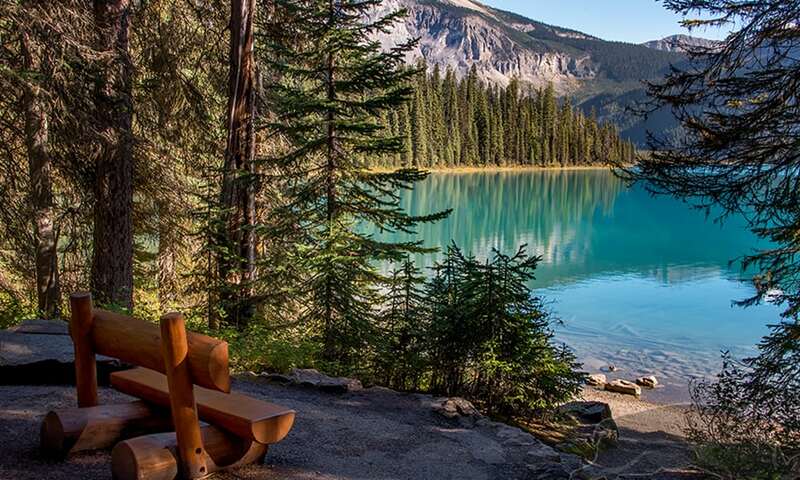 While Emerald Lake is a highly coveted destination, many visitors also enjoy the trail to get there, as this is a relatively easy hike that features 4 lakes throughout. Before even starting the trail to Emerald Lake, visitors can veer to the right and experience Bear Lake. Additionally, visitors experience Nymph Lake, Dream Lake, and Lake Haiyaha along the trail. The trail features about 650 feet of total elevation gain. Even though this is considered an easy hike, there are some steep climbs for short sections throughout. Additionally, visitors can witness an incredible diversity of wildlife and plants. Elks are common sightings as are wildflowers, pine forests, tall grass fields, and water lilies. Emerald Lake is usually about 10-20 degrees colder than the starting trailhead. It takes most visitors about 2-3 hours to hike to the lake. Emerald Lake has certainly earned its name due to its uniquely colored water and magical location. Yet, many visitors are drawn to it due to the surrounding trails and lakes. Emerald Lake is a gem at the heart of Rocky Mountain National Park, which is the fourth most visited US National Park for a reason. This is an unmatched area of the United States that offers much for visitors to do, including hiking, camping, and many other outdoor activities. The trail and lake offer many photograph opportunities due to the scenery, making it perfect for photographers or families. This location would also be ideal for anyone with an explorative mindset, as there are many trails and other geological features to explore. 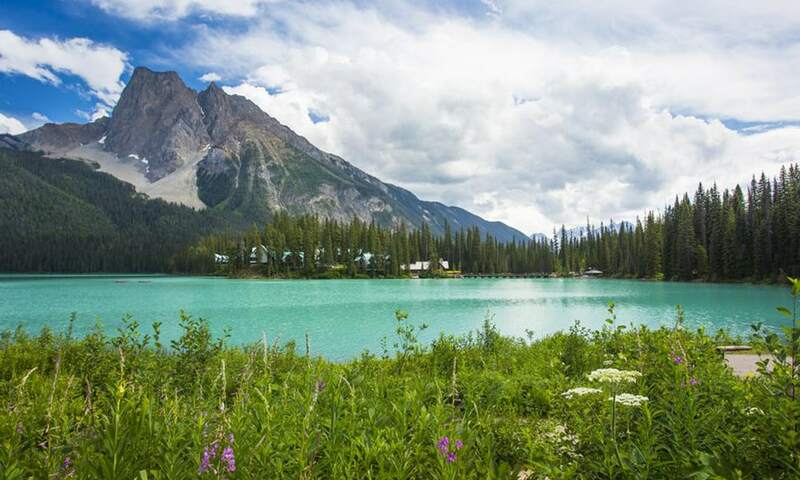 Individuals could likely spend weeks merely exploring the 2 miles of trails that connects Emerald Lake and the Emerald Lake Trail trailhead, not to mention all the trails nearby. Perhaps the most coveted aspect of Emerald Lake is how isolated it is. This is especially the case in modern times considering how connected most of us usually feel to our technological devices. Sometimes it can be refreshing to disconnect from our technology and tools and surrender to the power of the outdoors. 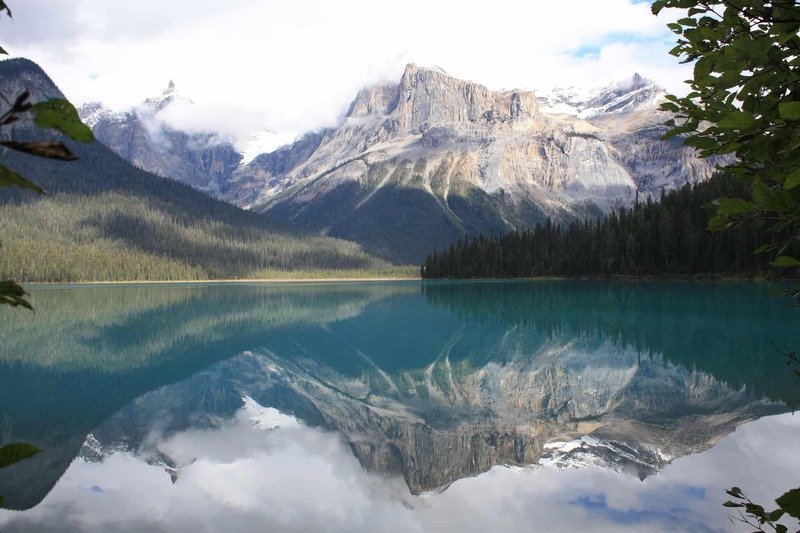 Many people use Emerald Lake as an opportunity to rejuvenate themselves, using its stunning peaks and alpine waters as a kind of natural medication. Since the hike isn’t very strenuous, some people even go alone to Emerald Lake, seeking a solitary experience that is restorative and cleansing. Due to the picturesque scenery, Emerald Lake would also be a great place for a picnic. Many people camp at nearby campsites and then go on day hikes to Emerald Lake, bringing delicious food with them to indulge whenever hunger strikes. Like any popular tourist destination, Emerald lake suffers from being overcrowded during peak times of the year like the summer months. This means that the trail could feature many hikers, which could impact your experience if you have certain expectations. Many visitors arrive at the trailhead for Emerald Lake expecting for perfect conditions yet are surprised to find many hikers and general commotion. In this sense, if you are looking for a quiet area that is relatively free of other explorers, then Emerald Lake would not be the ideal location for you during the summer. Alternatively, some visitors choose to go during the winter, which offers a totally different experience. Yet, the colder temperatures and icy conditions can be undesirable despite the stunning scenery. It’s also imperative that you bring snow shoes if going during the winter. 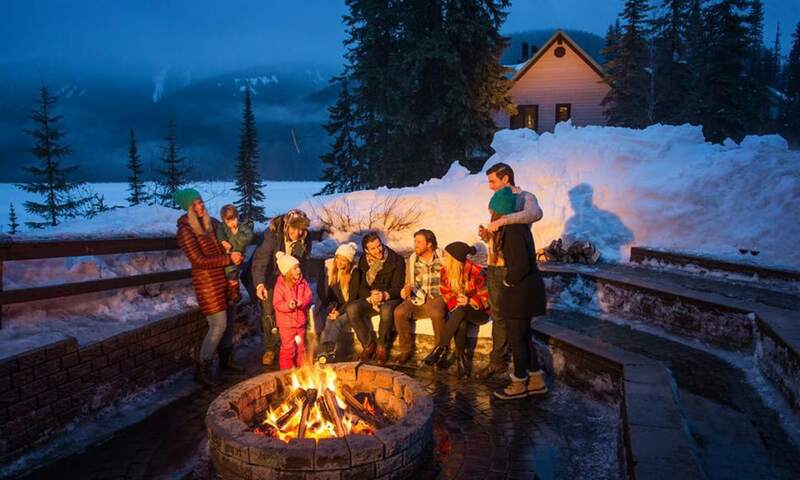 In this sense, it might be difficult to maximize your experience of Emerald Lake, as there seems to be some kind of sacrifice involved no matter when you visit. Furthermore, dogs are not allowed on the trail, which could negatively impact you if you enjoy hiking with your dog. Many people recommend arriving early to Emerald Lake, as in before 7am. This allows you to beat the crowds during the summer yet still experience the beauty of the surrounding environment. We recommend going as early as possible, perhaps even camping at the nearby Glacier Basin Campground the night before your anticipated excursion. Camping nearby will allow you to access the trailhead even earlier while also offering you the benefits of sleeping in a montane wonderland. The trail to Emerald Lake is often a much slower hike due to all the landmarks that can be seen throughout. Consequently, many visitors strop though out in order to take in the views. We recommend packing food for a picnic, as hunger will likely hit you at some point during your excursion. More importantly, you want to be prepared in case the area seduces you to stay longer than you anticipated. There’s nothing worse than discovering some gem or glade only to have your exploration of it cut short by an irresistible hunger. At the very least, make sure you pack some dried fruit and nuts, as this can go a long way if you need sustenance. We also recommend checking the weather before you go. While the lake is still accessible under most conditions, anticipating certain weather like rain could be helpful when it comes to packing. Most people bring at least an extra layer since the temperature of Emerald Lake is often colder than the starting trailhead. If you plan on actually submerging yourself in the gelid waters, then we recommend bringing extra layers as well as a towel. Just remember that there is no lifeguard on duty. Additionally, the local rangers say that leeches live in the lakes, making submergence a risky activity. We think it’s not every day that you can hike 2 miles-worth of trails and experience 4 alpine lakes. If you find yourself in Rocky Mountain National Park, then we recommend preserving several days to explore Emerald Lake and its surrounding trails. Perhaps the best way to take advantage of the area is to book a campsite well in advance so that you can enjoy the ideal summer temperatures, fauna, and flora. Alternatively, some visitors like to come during the off-season when the area is much less crowded. The only drawback to using this strategy is that snowy conditions can make the trail dangerous if you’re not careful. Yet, most visitors claim that the unparalleled scenery of winter makes the difficulty worth it. 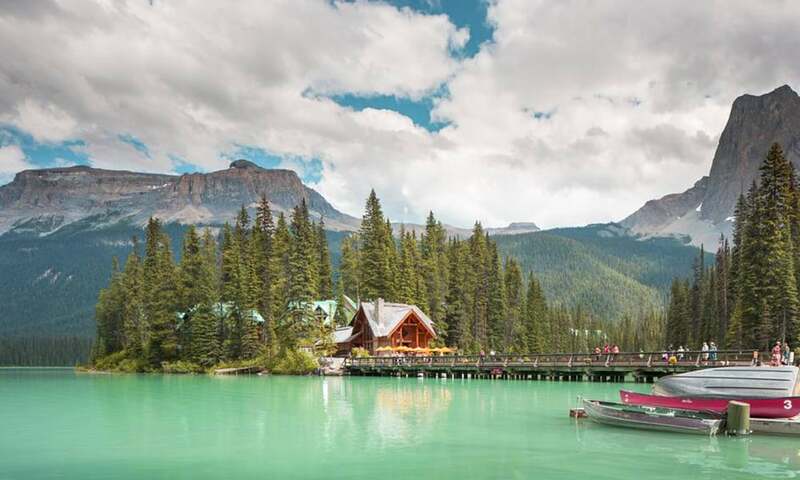 We think places like Emerald Lake will continue to rise in popularity in the future as visitors seek a contrast to the concrete jungles they inhabit. This also means that future visitors will have to be more diligent than ever about protecting the area from abuse. This means enacting strict policies concerning littering, camping, and what pets are allowed on the trail. If you are in need of an adventure and feel a calling to Rocky Mountain National Park, then surely you will not be disappointed by Emerald Lake.